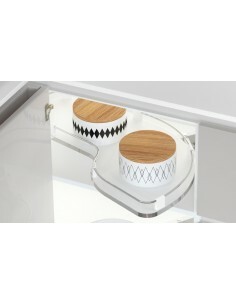 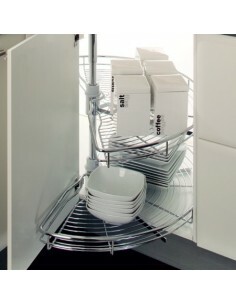 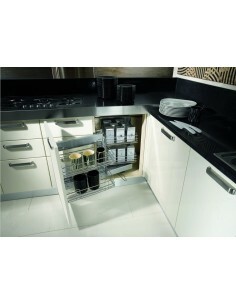 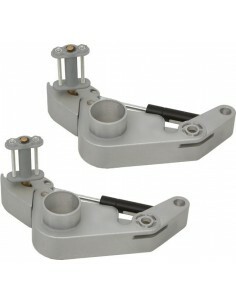 771 X 482 X 680mm, 900 or 1000mm Kitchen Corner Units. 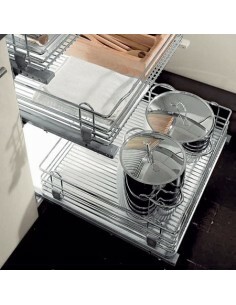 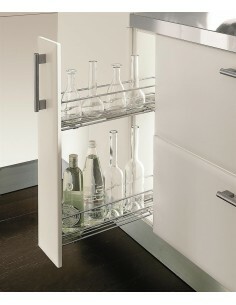 For 450/500mm Doors This Chrome Wire Basket set with four shelves is a great way to add extra storage. 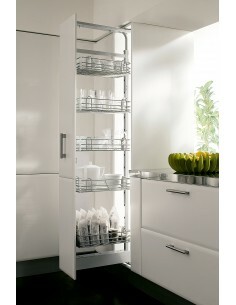 Suits 800mm cabinets - 400mm Doors, Includes Two shelves, Height Adjustable Spindle & Fittings.